You Won't Believe the Fun Things to Do in Napa Valley! You Won’t Believe the Fun Things to Do in Napa Valley! There are so many fun things to do in Napa Valley. Some people think of Napa Valley as only a lovely wine region that produces the best wines in the world. But it’s not just a sleepy wine region with lots of well-arranged patchwork of grapevines. You can discover a lot of fun things to enjoy. There is a plethora of sensational pleasures (or pleasurable sensations) that are brimming in this world-famous Wine Country. Wine lovers, in particular, will want to visit the wineries, but there are some wineries that are considered a standout not just for their wines, but also for the place itself. One of the most celebrated wineries is the Castello di Amorosa. Built in 2007, the massive castle follows faithfully to the 12th and 13th century Tuscan architecture — complete with moats and high defensive towers. Touring around this fabulous castle is like stepping back into the medieval era. The castle has more than 100 rooms that include a chapel (although the castle doesn’t hold weddings there), the Il Pasito Room for more private food and wine pairings, and the romantic cross-vaulted Grand Barrel Room where some of the wines are stored in French oak barrels. It’s like having a banquet with the European nobility when dining at the Great Hall and the beautiful courtyard. While ogling at the fantastic brick-layered rooms and painted frescoes, guests also get to savor Castello’s wines which include its most famous, the Il Barone Reserve Cabernet Sauvignon. If you want to visit a more rustic place, perhaps you should go to the Bale Grist Grill Mill State Historic Park. Located between the cities of St. Helena and Calistoga, the Bale Grist Mill is one of the oldest water-powered grist mills existing in California. The grist mill itself, built during the early 1800’s, was once the hub of Napa Valley’s social activity as settlers came to have their corn and wheat made into flour. Guests can witness the old-style milling demos, as well as tour the mill. They can also take a hike to Bothe-Napa Valley State Park, just a trail away from the grist mill. Still in Calistoga, the city is also famous for its natural wonder — a geyser called the “Old Faithful in California,” which cannot be confused with the Old Geyser in Wyoming. It is also called “Little Old Faithful.” The geyser erupts from a geothermal well drilled in the 1800s. The Calistoga Hot Springs is also a famous spot where people can swim, tan under the sun, or just relax and unwind. Want to look at some fine art? There are a number of fine art galleries in the Napa County but one you may want to visit is the Quent Cordair Fine Art Gallery. Located on the West End of downtown Napa, it showcases the finest of the Romantic Realist artworks by award-winning artists such as Bryan Larsen and Han Wu Shen. You will be amazed at how realistic many of the paintings are — especially the portraits — as if they could come to life. You only wish they’d actually step out of the frame. The sculptures are extraordinary on their own, too. The most amazing of the Napa Valley trips may be experienced from up in the air. How’s that? Well, through riding on a hot air balloon! Picturesque Napa Valley is one of the most popular sites in the world for hot air ballooning. We know you’d like to see why! If you’ve decided to go for the ride and ask which company provides the best operators for your hot air balloon ride, Balloons Above the Valley (BATV) of course! With almost four decades in the industry and extremely satisfied customers, BATV is still going strong. 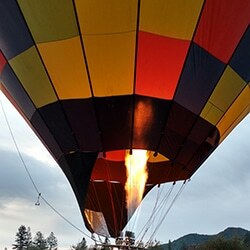 BATV provides the safest and the most enjoyable sunrise hot air balloon rides over the gorgeous Napa Valley landscape. A hot air balloon ride also gives you a vast perspective of the Napa Valley ecosystem — the neat rows of lush vineyards stitched together like a giant organized quilt in the verdant plains, rolling hills and deep valleys, set against the blue early morning sky. Our pilots, enhanced by years of experience, will guide you to other sites of interest such as the famous wineries as you glide along peacefully in the sky. The idea of riding a hot air balloon might sound intimidating at first. However, you will eventually agree with us that the serene but compelling beauty of the Napa countryside is best viewed from the heavens above. The ride itself would have been a treat already, but BATV has some other things in store for you! A fantastically fresh and delicious pre-flight breakfast will wake up your senses before you leave for the hot air balloon launch site. A mouth-watering post-flight brunch with sparkling wine will help you celebrate with other guests at how the flight was the best you’ve ever experienced! Following the post-flight brunch you may shop at the wonderful Oxbow Public Market or the Napa Valley Premium Outlets. One of the BATV’s most popular packages, the San Francisco Balloon and Wine Tour Package, will give you a tour to some of the wineries. It will also offer a comfy and luxurious bus limo ride from downtown San Francisco to the Wine Country, as well as ferry transportation back to the city. 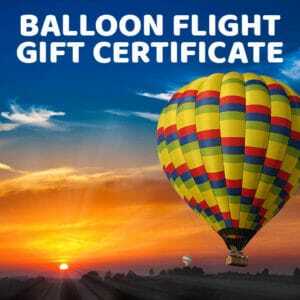 See this package and other excellent hot air balloon and wine tour options here in this link: http://balloonrides.wpengine.com/tour-options-pricing-reservations/. Napa Valley is a magical place, but it is far from being stiff or listless. At first you may find it incredible that there are fun things to do in Napa Valley, but once you try them, you swear you’ll be coming back for more!